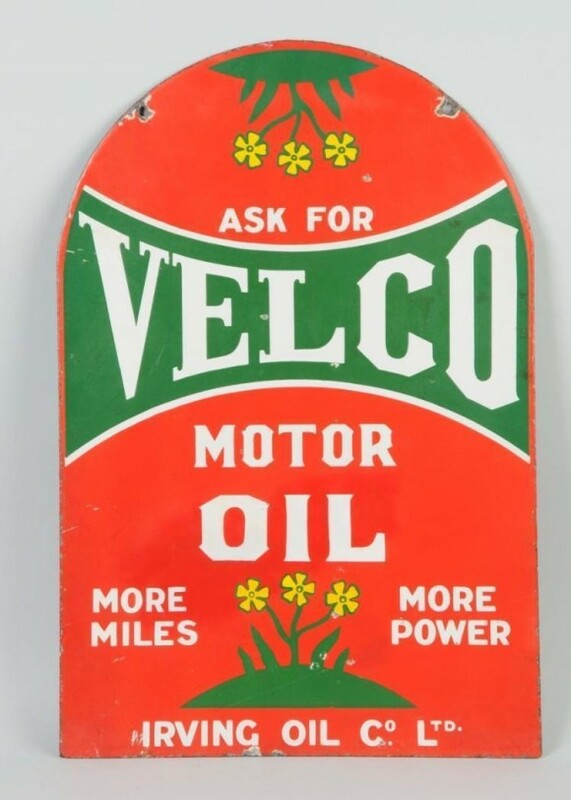 This sign is for Velco Motor Oil. The sign’s colors are green, yellow, white and red. The text on the sign reads: Ask for Velco Motor Oil More miles more power. The sign shows a tombstone with flowers and text.